Almost a decade ago, a fatal crash on the Red Line led to a call for an independent Metrorail Safety Commission. On Tuesday, the panel held its first procedural meeting. WASHINGTON — Almost a decade ago, a fatal crash on the Red Line led to a call for an independent Metrorail Safety Commission. On Tuesday, the panel held its first procedural meeting. Commission staff verified Tuesday afternoon that the commissioners from Maryland, Virginia and the District were properly sworn in by their respective jurisdictions, and the commissioners signed nondisclosure agreements covering sensitive information they may be provided. The commission adopted a series of policies and bylaws, including rules on conflicts of interest and what types of information would be and would not be disclosed to the public before going into a closed session. Some of the information that could be withheld include anything that would pose a security threat to the Metro system, draft investigation reports, and some information about certain safety orders. Former National Transportation Safety Board chairmen Christopher Hart (D.C.) and Mark Rosenker (Virginia) said the bylaws would be amended at future meetings to clarify and limit what information provided to the commission could be marked as proprietary or confidential. The seating of the members does not give them immediate safety oversight of Metro. The body still must hire staff, including an executive director to actually do the oversight work. Several people involved in the commission said they were not quite yet ready to hire a director Tuesday, although that appeared to be one of the likely topics of the day’s closed session. Significant work to identify potential hires has already been done. Once the executive director and other staff or contractors are in place, the Federal Transit Administration then must certify the state safety oversight organization once it shows it can handle the task, which could take several months or more. After the certification, the FTA would transfer oversight it took over in fall 2015 back to the local governments. 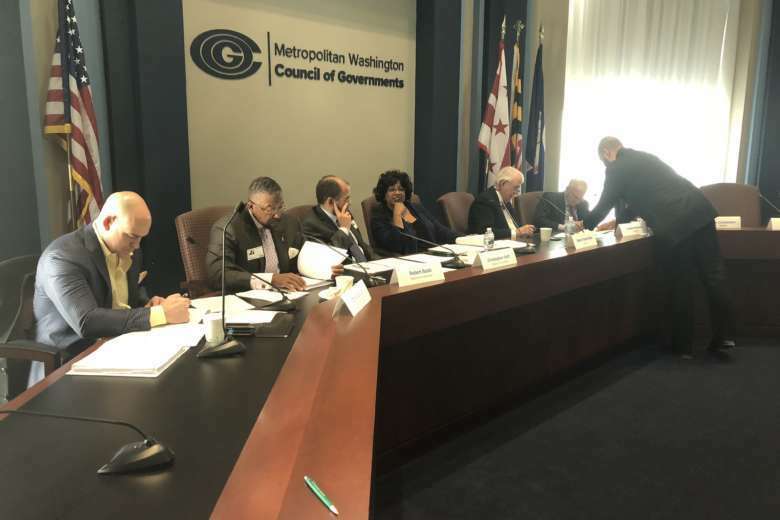 The certification would also mean the release of millions of statewide transit dollars that have been withheld until the Metrorail Safety Commission is up and running. Other commissioners include turnaround specialist Robert Bobb (D.C.), former New York subway head Howard Roberts (Maryland), former Metro minority contracting and labor relations leader Debra Farrar-Dyke (Maryland) and former D.C. Homeland Security and Emergency Management Director Chris Geldart (D.C. alternate). Former American Public Transportation Association Assistant Vice President Greg Hull (Virginia) could not make the meeting in person, and participated over the phone. John Contestible (Maryland alternate) also could not attend. Virginia has not yet appointed an alternate. Several of the commissioners had gathered last month for an orientation session leading up to Tuesday’s meeting. For now, a lawyer working to set up the commission, Allison Fultz, will operate as the acting secretary to establish the Metrorail Safety Commission with the IRS as an employer and to get the commission a .gov email address. The commission largely rejected a policy proposal that would have rotated the positions of chair, vice chair, secretary and treasurer on a schedule among the three jurisdictions every two years. “To me, a safety committee is about safety; it’s not about my jurisdiction or your jurisdiction. It’s about safety for everybody. Either it’s safe for everybody or it’s not safe for everybody,” Hart said. “We want the best chairman we can get. It doesn’t have to be whoever’s turn is up … we want the best people we can get,” he added. The group of officers should still include members of each jurisdiction, said Geldart, the former D.C. homeland security director, urging that decisions be made sooner rather than later. “Just having done regional boards and groups for the last 15 years here in the National Capital Region, the idea of not having it be a set rotation … having the right people in the right positions, but also making sure it’s spread out — that, to me, in my experience with this, would be a heck of a lot better than the way I’ve seen a lot of boards work in this region, where it is a rotation and there has to be one from each. It doesn’t always work out that great. It sounds great [but] it adds to a sense of jurisdictionalism instead of a sense of safety,” Geldart said. An advisory policy committee from the jurisdictions is scheduled to meet Wednesday to discuss a different policy for elections. The commission’s compact sets the term of officers as up to two years, so there may be one election in April to provide officers for a few months, before a June election that would establish two-year terms to line up with the fiscal year, which begins July 1. Those initial officers that could be chosen as early as next month could be re-elected for the full two-year terms, or the commission could decide to have the officers’ terms begin and end in April. The commission will likely meet frequently over the next three months to address a number of issues, including the hiring of an executive director, although the details of what those key issues are were only discussed in the closed session, held after the public portion of the meeting ended.